The Roll A Bucket was designed by a painter to make painting easier. Why lift a heavy paint bucket when you can roll it? The Roll A Bucket comes with a custom paint grid. The Roll A Bucket is maneuvered with a paint roller, the same way you would use a mop to steer a mop bucket. 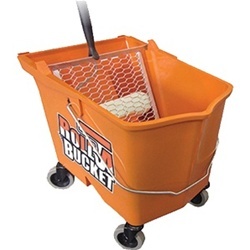 The Roll A Bucket Paint Grid was designed specifically for the Roll A Bucket. The Roll A Bucket Paint Grid is metal zinc plated and has a sturdy design. Make painting an easier task without any spills with the Zorr Corp Roll A Tray. 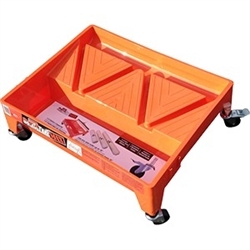 It features a durable design with caster wheels that easily roll over tarps. The deep well in front of the tray has the ability to hold up to a half gallon of paint. The Zorr Corp Roll A Tray includes a disposable liner to make cleaning up simple. 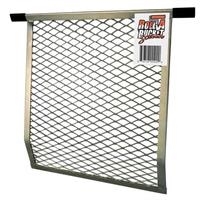 Zorr Corp Roll A Tray Liner features a built in roller grid and is custom designed to fit the Roll a Tray perfectly. Clean-up is made quick and easy due to the disposable liners. The Zorr Corp Roll A Tray Liner is helpful when you want to change colors quickly. 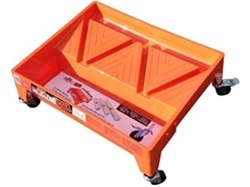 The Roll A Tray Max is a paint tray on wheels designed to roll over tarps. The deep well in the front of the tray holds up to 1.5 gallons of paint. 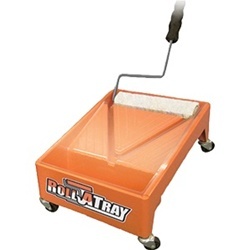 The Roll A Tray Max eliminates the need to bend over, pick up and move a paint tray. 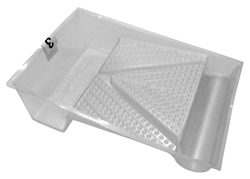 Zorr Corp Roll A Tray Max Liner features a built-in roller grid and is custom designed to fit the Roll a Tray Max. Clean-up is made quick and easy due to the disposable liners. The Zorr Corp Roll A Tray Liner is helpful when you want to change colors quickly.